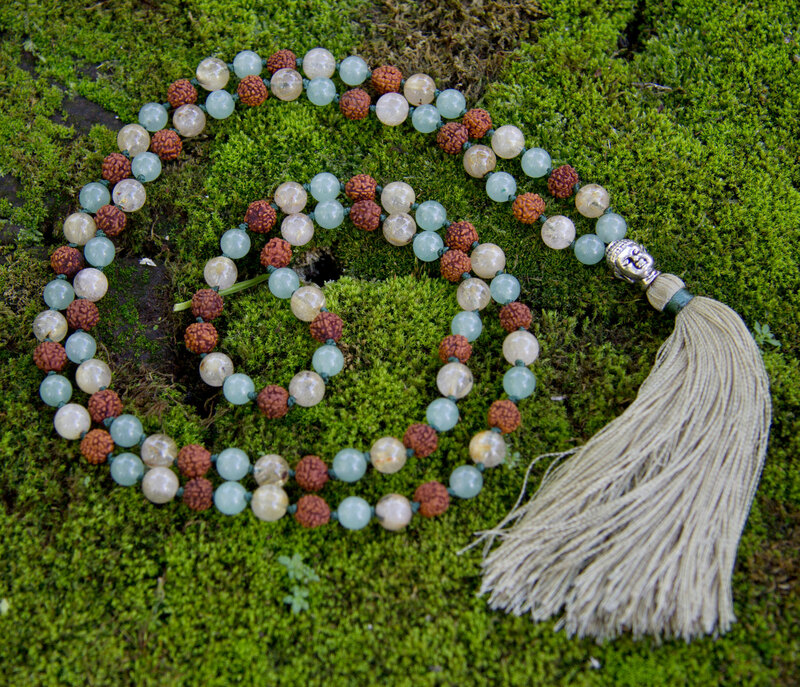 This is a truly unique 108 bead’s Mala, mixing the rare and powerful Rutile Quartz golden tones with green Jade and Rudraksha. Rutile Quartz is a wonderful stone for getting things moving, whether that be your body, mind or soul…If you’ve been feeling stagnant and need a bit of a kick to get the energy flowing, then Rutile Quartz can help you get back on track. 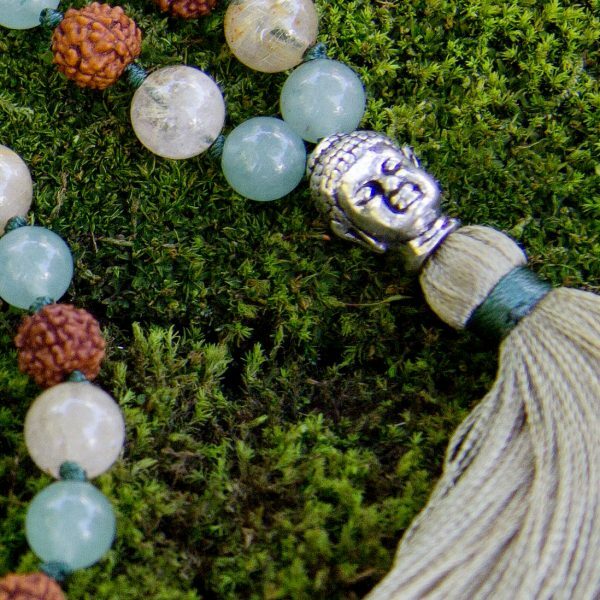 Green Jade is the stone of calm in the midst of a storm and it is also a powerful crystal of love. 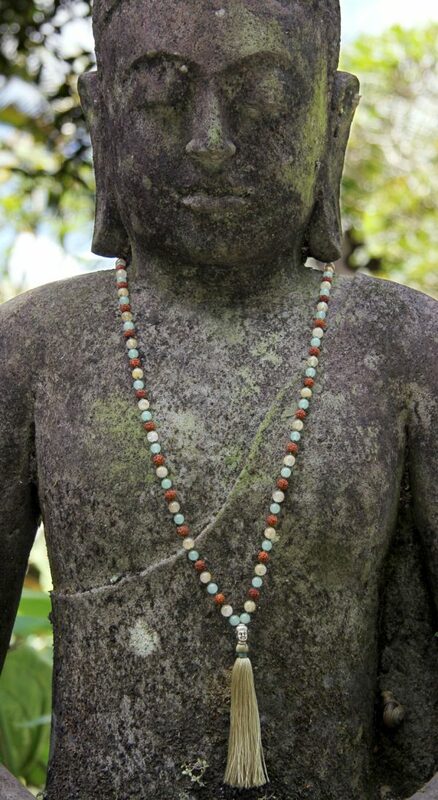 Rudraksha seeds have always been worn for good health, awakening the Kundalini and help increase self love. Wear this beautiful Mala to be energized with high frequencies!